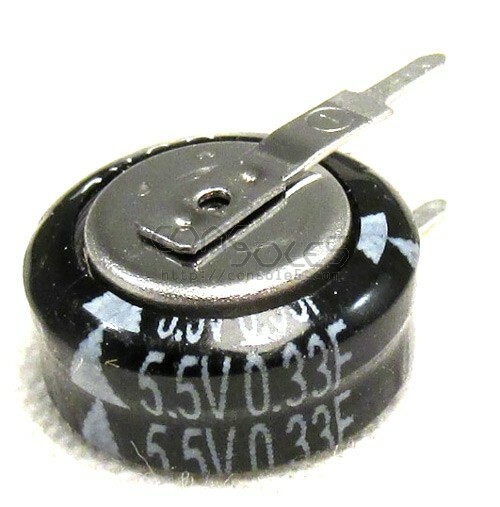 .33F (330000uF), 5.5V supercapacitor for memory backup in NEC CD-based hardware. If your TurboGrafx CD, Turbobooster Plus, Super CDROM2, Turbo Duo, or PAC-N10 no longer hold game saves, the original memory capacitor may have failed. These .33F caps have significantly greater capacity versus the original NEC .047F parts. They can replace the square-shaped Supercaps in Duo hardware as well.